Continuous feed, 1/2 HP waste disposer. Features include 2700 rpm permanent magnet motor, factory installed power cord, EZ mount installation systems, strainer stopper, antimicrobial treatment in chamber to inhibit odours, and balanced grinding system for quiet operation and efficient grinding. ETL certified. Five year in-home service warranty. You'll never have to worry about a shortage of frozen-food storage space again with this 7.2 cubic foot (204 titres) chest freezer. You're also likely to see your electricity bills drop since this model features a well-designed foam-insulated cabinet and lid. There's an easily-accessible mechanical thermostat mounted on the front with a temperature range of -120C to -240C (10.40F to -11.20F) and the rust-resistant interior liner makes it simple to keep clean. The defrost drain is also mounted on the front of the unit which makes for a fast and simple manual-defrosting process. All of your most popular frozen food items can be stored near the top of the freezer with the handy, adjustable white-wire basket, making them easy to find. There's also a convenient compartment divider which makes food organization that much simpler. This elegant and spacious chest freezer also comes with a smart power indicator light and offers a 5-year warranty on parts and labor with in-home service. Maxx Cold X-Series 48" Commerical Refrigerator has a capacity of 12 cu. ft. as well as 26 sq. ft. of shelf space. The unit features a two section cabinet with (2) solid hinged doors, recessed handles, all stainless steel exterior and a painted aluminium interior. An electronic thermostat and digital LED temperature display is simple and visually stimulating while a 1/2 HP compressor provides efficient and reliable service. The unit also includes a heavy duty cutting board, insulated top cover, and (18) 1/6 size polycarbonate pans. Bring rugged durability and commercial-grade washer performance to your laundry room. Delivered straight from the Maytag. commercial washer and dryer assembly lines, this washer features a robust build, including a dual action agitator and stainless steel wash basket, powered by a 1/2 horsepower washing machine motor. These components are encased within thick, galvanized steel panelling engineered to take a beating and resist corrosion. Four Deep Water Wash cycles, including the PowerWash. cycle, use maximum water levels to drench loads for thorough cleaning. Tough and dependable year after year, Maytag confidently backs this washer with our best home appliance warranty2* for in-home, commercial laundry equipment1. 1/2 H.P. 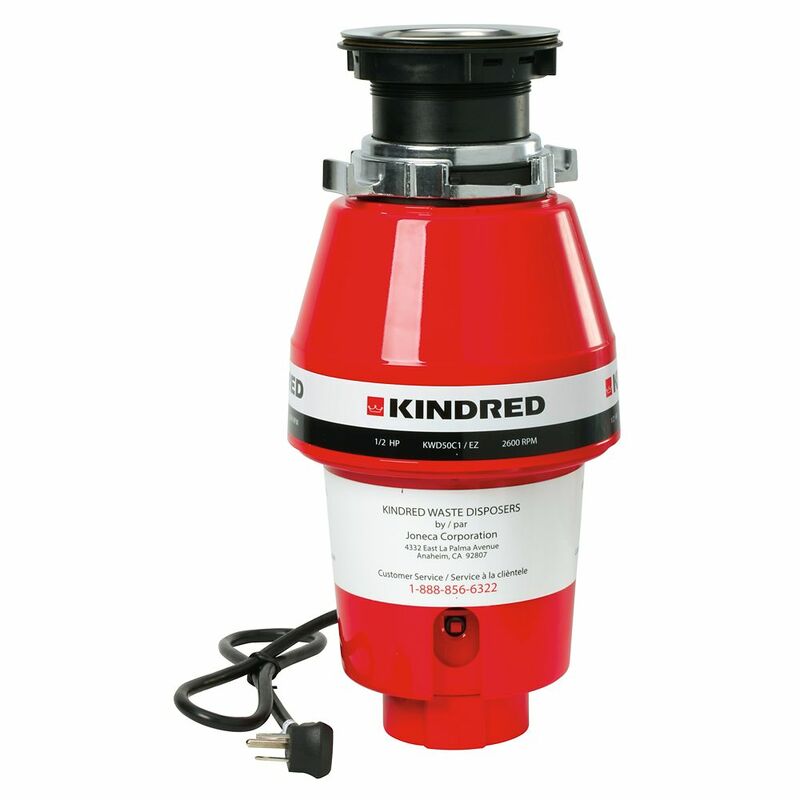 continuous feed - 5 year warranty Continuous feed, 1/2 HP waste disposer. Features include 2700 rpm permanent magnet motor, factory installed power cord, EZ mount installation systems, strainer stopper, antimicrobial treatment in chamber to inhibit odours, and balanced grinding system for quiet operation and efficient grinding. ETL certified. Five year in-home service warranty.